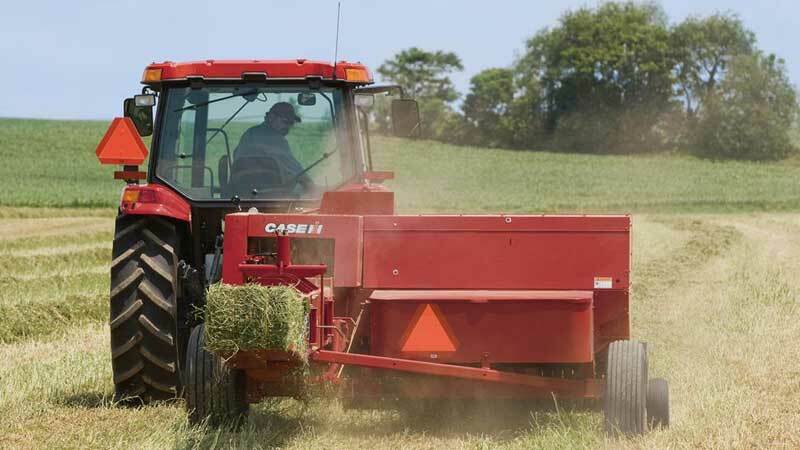 Case IH SB Series small square balers are valued for their ability to stand up to season after season of heavy-duty baling. Crank out high-quality bales in all kinds of crops and crop conditions with the SB Series small square balers. They are all about productivity. With four models, these balers get the job done right with high-capacity features like wide pickups and heavy-duty, smooth rotary feeding systems. All SB Series balers allow for easy bale density control by adjusting the tension applied to the bale chamber. For manual density control, tension springs are an economical choice.